Benton Hellman Sets New School Record In The 800 Meter Run! 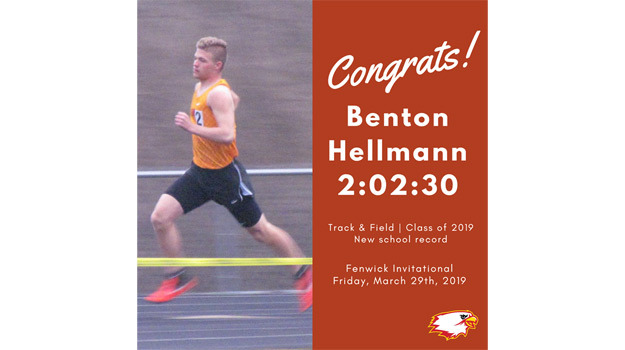 Congratulations to Benton Hellmann for breaking the 800 meter dash school record at the Fenwick Invitational! His winning time of 2:02.30 broke the existing record set back in 2006 by Chris Austing.